Detox Pills work to ensure toxin free urine. 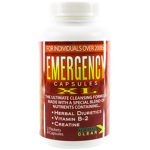 Rapid Clear Emergency Capsules are laboratory designed for the perfect detoxification solution. 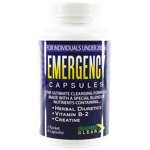 Our Emergency Detox Capsules become effective in as little as 45 minutes. Detox Booster capsules are designed to be used with detox drink only, for increased performance. Our Emergency Detox Capsules become effective in as little as 45 minutes and works for light and heavy users. The XL Emergency Detox Capsules are designed for individuals that weigh OVER 200lbs. 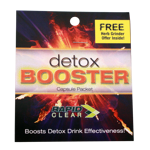 Detox Booster capsules work by temporarily speeding up the urine process to assist the body in breaking down toxins, therefore helping to increasing the effectiveness of detox drinks.